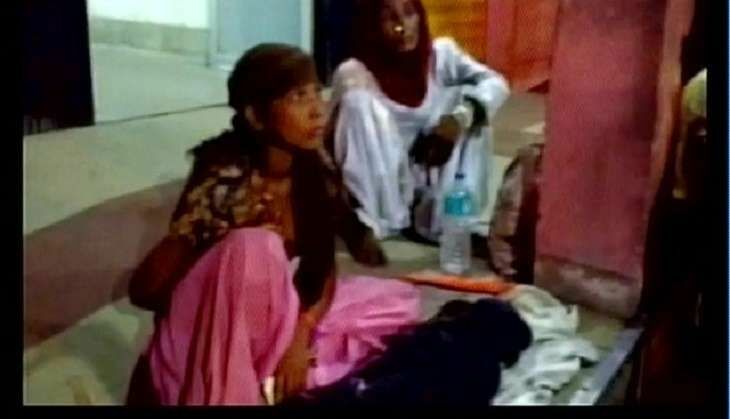 A woman was forced to spend a night outside the emergency wing of a district hospital in Uttar Pradesh, with her deceased child on her lap, after the hospital allegedly failed to provide an ambulance. Two-and-a-half-year-old Gulnad, a resident of Baghpat district, was referred to the Lala Lajpat Rai Medical College (LLRMC) Hospital in Meerut on 1 September for a severe viral infection. Her mother Imrana took her to the LLRMC hospital where doctors declared her brought dead. Imrana alleged that she pleaded with the hospital ambulance driver to take the body to her village, Gauripur, for over two hours and that he refused claiming that he wasn't allowed to travel to other districts. Imrana took the body to the district hospital in a private ambulance after paying Rs 200. At the district hospital, she was denied an ambulance service again. Imrana said that private ambulances were charging Rs 2,500 for the journey, an amount she could not afford. Imrana said she spent the night outside the emergency wing of the hospital with her daughter's body on her lap. The next morning, a few people pooled in money to hire a private ambulance to transport the body. District Magistrate, Meerut, Jagatraj Tripathi said, "This incident has not come to my notice yet. But I will order an investigation into it. "Whoever is found guilty will be punished. I'll ask the chief medical officer, the additional director that these type of incidents should not happen," he added. The incident comes just days after a man in Kanpur was allegedly forced to carry his ailing son from one department to another. The child succumbed to his illness. Similarly in Odisha, a man was forced to carry his dead wife on his shoulder after being denied a hearse by the hospital authorities. Another man was forced to walk miles carrying his seven-year-old daughter's body as the ambulance transporting them allegedly left them midway.